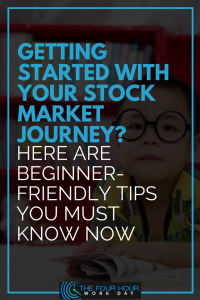 You’ve decided to start your stock market journey. You’re ready to take bold actions and start investing. There’s this nagging feeling if you’re going to come out of this alive! Don’t worry, this is completely normal. Getting out of your comfort zone is scary. But you still deserve a pat on the back for finding the courage to invest. Not everyone has the guts to do so. Many people either choose to work because they enjoy it or they have to work because they need the income. 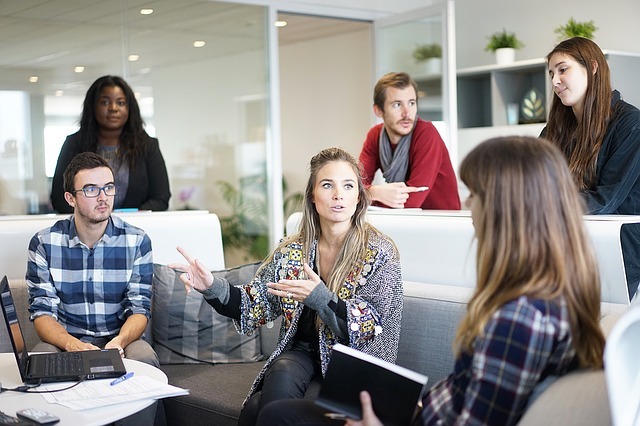 No matter your reason, it’s important to know what habits are going to help you get ahead and continue to thrive in your career. When you first fantasized about your retirement all those decades ago, you probably assumed you were going to leave the workforce at a respectable 65 with a full pension. But like any fantasy, it rarely matches reality. Now that you’re older and you’ve gained some experience, you know that retirement isn’t as cut and dry as it once was. It’s especially harder now that your adult children are still living with you. Though you love them, they represent an expense you weren’t expecting in your golden years, and their addition can postpone your retirement indefinitely. No matter how much you love your job, there are certain times when you feel like you need to take a break from everything. Inevitably, people who get into a routine tend to get bored of it. Even though it is possible to start looking for a different job in another field, it would be a shame to change your career when you can easily change some habits in your life and make your current job a lot more enjoyable. You spend a big part of your life either at work or commuting to work. That is why you need to adopt a positive attitude and start your day with a smile on your face. Apparently, if you do that, times goes faster and you are very likely to have a better time at work and a better life in general. No matter if you are a freelancer, an entrepreneur or a simple worker, the following hacks will help you adopt a can-do attitude, learn how to love your job more and move up the career ladder faster. Got some savings? How about investments? If you do, pat yourself on the back! Unfortunately, we tend to lose our income without realizing where we’ve spent it. We are working so hard yet we have no idea where our money has gone after all these years. So why do these happen? 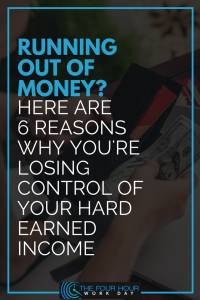 Why do we lose our income? It’s important to know what’s causing our financial issues so we can be aware of our bad money habits and start with new and healthy ones. 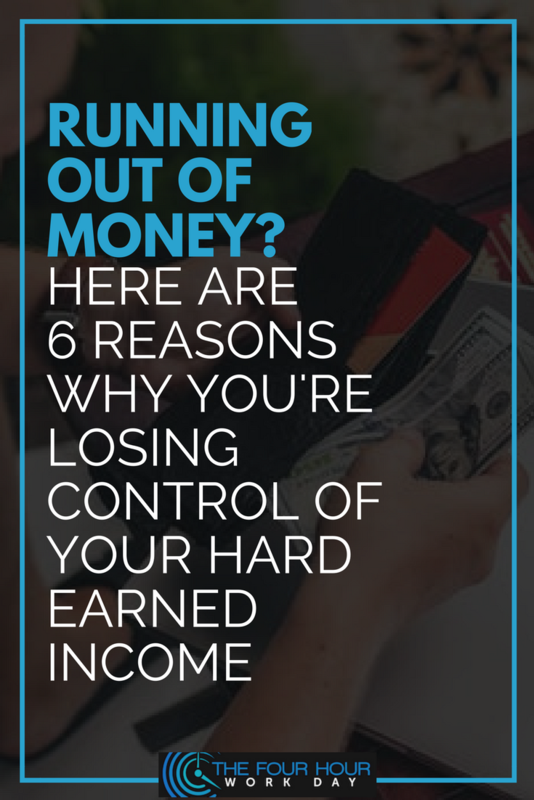 Here are six reasons why you might be losing your hard-earned income. For many folks, cryptocurrencies signify opportunity. They represent a chance to become part of the future by actively participating in blockchain technology with its widespread applications and potential. Cryptocurrencies have spurred a boom in the financial markets. The meteoric rise of Bitcoin, Ethereum, Litecoin, Ripple, and Cardano are cases in point. By Q4 2017, the boom had peaked, and the cryptocurrency market has been consolidating, pending regulatory changes, speculative assessments, and a general recalibration of the digital currency scene. The mass hysteria that gripped the global markets has ebbed and flowed in Q1 2018, but now stakeholders are keenly interested in DasCoin – a rising star. Before delving into the differences between DasCoin and the top 5 cryptocurrencies currently on the market, it’s important to take stock of how heavily weighted Bitcoin, Ethereum, Ripple, Bitcoin Cash, and Litecoin are in terms of overall market capitalization. These 5 heavy hitters comprise 76.6% of the overall market capitalization. At the time of writing the total capital investment in 1,564 cryptocurrencies across 9,413 markets amounted to $337.6 billion. DasCoin is gearing up to become the dominant medium of exchange and store of value in the markets. The era of central banks is quickly moving into our rearview mirror – those archaic financial institutions are inefficient, top-heavy, and designed to support the elite few that manage them. New age cryptocurrency like DasCoin is part of an ecosystem where every node on the blockchain adds value to the network. It is against this backdrop that DasCoin is building bridges for a global community. The value of this new blockchain technology is not limited to its monetary appreciation over time – it is the infinite possibilities within this technology. For example, DasPay is a way to pay for goods and services with some 60 million+ merchants around the world. This cryptocurrency wallet can be activated and accessed direct from a smartphone or tablet, courtesy of the technology provided by Carta Worldwide. It is accessible everywhere major credit cards like Visa/MasterCard are used on POS (point-of-sale) terminals. What are the Main Characteristics of the DasEcosystem? Security, scalability, speed of transactions processing, accountability, sustainability, adaptability, and functionality are the main differences between DasCoin and other industry players like Bitcoin. Unlike the anonymous blockchain network that Bitcoin and others operate on, DasCoin allows for privacy, but not anonymity. This is a key difference between this cryptocurrency and the rest. Perhaps this is the reason it has been deemed a hybrid cryptocurrency. By requiring strict security protocols and verification checks, thanks to the KYC (know your customer) protocols, the DasEcosystem is everything that Bitcoin isn’t. Every user/member/participant on the network has been granted permission to be there thanks to the network owners who run the show. This differs to the anonymous blockchain whereby anyone can enter or exit with complete impunity. The speed of transactions processing for confirmed blockchain transactions is just 6 seconds, and incredible scalability allows for 100,000 transactions to be processed every second. That’s 6 million transactions every minute and 360 million transactions every hour. Such numbers are mind-boggling, and they attest to the sophisticated nature of DasCoin’s blockchain. By having such amazing scalability and zero impact on performance, this is clearly the cryptocurrency of the future. Since the permissioned blockchain is secure with KYC protocols, it is also compliant with all regulatory requirements. This is a substantial difference over other cryptocurrencies which have tried to skirt regulatory constraints by offering anonymous transactions processing on nodes and networks. The ecosystem concept is another major difference between the Bitcoin community and the DasCoin community. When every node adds value to the network, and the well-being of the network is maintained by a network of responsible owners, oversight and balance is possible. Bitcoin operates in the Wild West of the blockchain spectrum. There is no oversight by any communal authority or board – it is a series of nodes on a network that are anonymous and unregulated. While inherently attractive at some level, the authorities always have a part to play in the financial arena. DasCoin is already a step ahead of the competition by complying with statutory requirements through its KYC policy and permissioned blockchain. 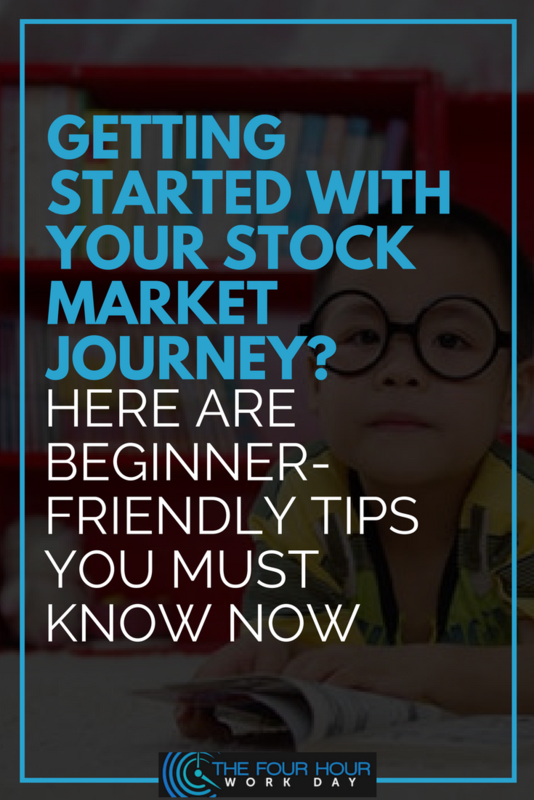 Have you always wanted to learn about stocks but always feel intimidated? One common misconception about investing is that stocks are for rich people only. But that’s not the case. 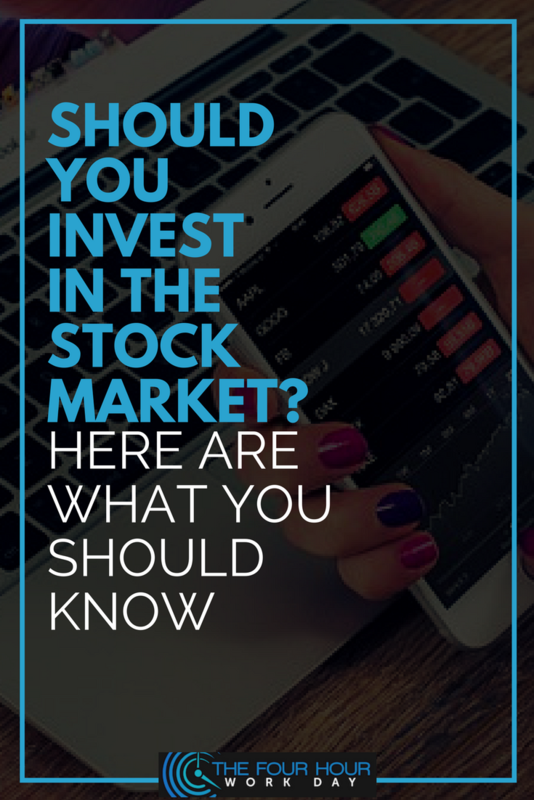 In fact, anyone can enter the world of the stock market as long as you are up for its risks and challenges. 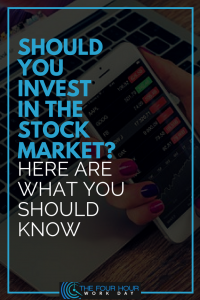 So, should you invest in stock market? What do you need to know? What are its advantages and disadvantages?